Rasputin "Planet" OUT NOW! - Bladud Flies! 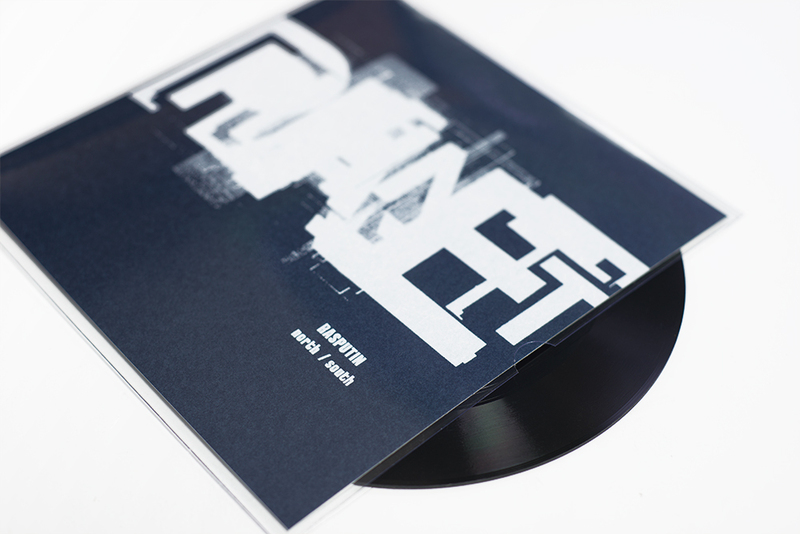 NEWS>Lathe Cut Vinyl>Rasputin “Planet” OUT NOW! Rasputin is a London based producer and one half of both Racah and Milk & Beef. North / South is his first solo release for Bladud Flies! and the fifth volume of the Abhorrent Jukebox 7” series. On North, the resonance of temple gongs and dreamy tape-reversed ambience are interspersed with snippets of dialogue before settling into an almost industrial middle section. Blown-out, slowed-down drumkit and an off-kilter guitar loop disperse into what could be a symphony of tambouras propelled by a fantastically heavy hip-hop beat of the Madlib/Dilla variety, of which there are many throughout North /South. The melancholic tremolo of a minor-key classical guitar phrase opens South, accompanied by beats and the nocturnal noise of a thousand crickets chirping in the background. The track shifts gears abruptly: field recordings and a Puerto Rican jazz double bass line give way to hypnotic, Congolese inspired rhythms. Recommended for both fans of hip-hop and experimental music, North / South is chaotic and disjointed in the best possible way. Samples of ethnic music are stretched, filtered and manipulated to their limit, until their origin becomes vague and nearly untraceable. From this, Rasputin crafts a highly idiosyncratic narrative from blurry snapshots and impressionistic sketches of people, places and brief moments in time. Limited to 30 numbered copies. Includes free download of FLAC files.